Goldstone is often confused for a natural material, but in fact, it’s actually man made. It’s a type of glass with copper inside which creates the gorgeous glittery effect. The most common goldstones come in brown and blue color and are both stunning. That’s why we offer you those two variations to choose from when ordering our beads. You can pick from many different sizes of the beads as well. That allows you to create custom made jewelry that will definitely stand out from all other accessories. There is nothing more eye-catching than glistening, lustrous beads that rest elegantly on your neck. You can also make bracelets to match and get a full goldstone look. 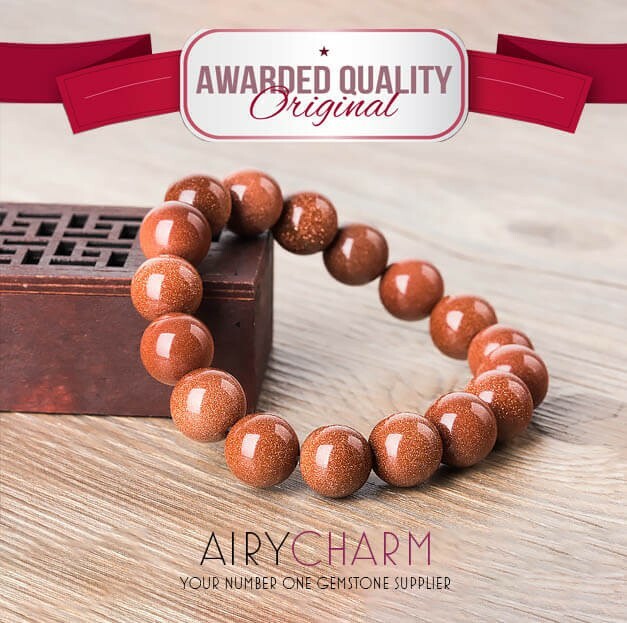 Sparkly goldstone jewelry can also be a great gift for a friend. Not just because it’s very pretty but because it also carries powerful energy that can have a positive influence on one’s life. There’s an interesting story that says alchemists were the first ones to create goldstones in their efforts to create gold. Another story links the creating of goldstones to a family from Venice who created it in the 17th century, according to the myth. They kept it as a big secret until the 19th century when a man named Pietro Bigaglia revealed it to the public and allow goldstones to spread all around the world. So this stone was always connected to something mysterious and metaphysical and its real origin is still unknown. 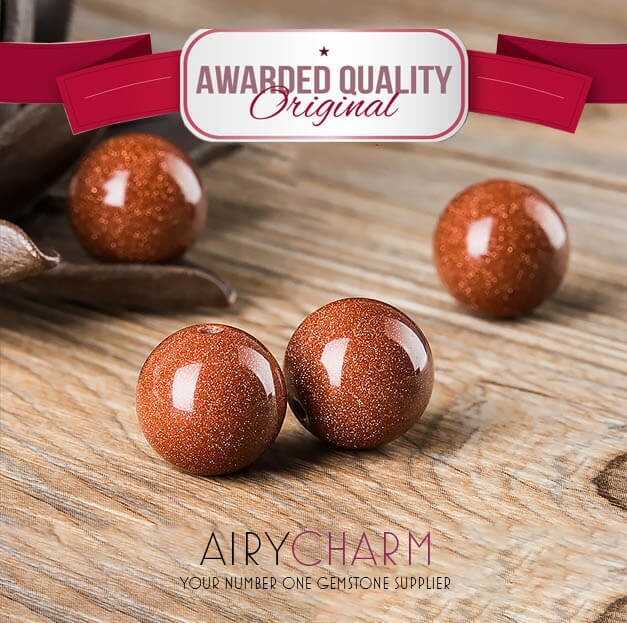 Also known as the ambition stone, goldstone can help you achieve anything you ever wanted, even your wildest dreams. So if you’re a person who really wants to succeed in life and be the best you can be in the work you do, then goldstone jewelry can be of great help. Oftentimes, we have aspirations and desires, but lack the perseverance and drive to actually fulfill them. Goldstones possess the energy that will give you that needed boost and help you realize that everything is possible and that you should just go for it. In the times of doubt and insecurity, the sparkling goldstone will constantly remind you that there is always light shining in the darkness and that all life situations will get better and that you have the power to change it. Feeling powerless can be a great burden that weighs heavily on one’s soul, and once that negative energy dissolves, you will realize how easy it is to simply follow your dreams and achieve everything you ever wanted. 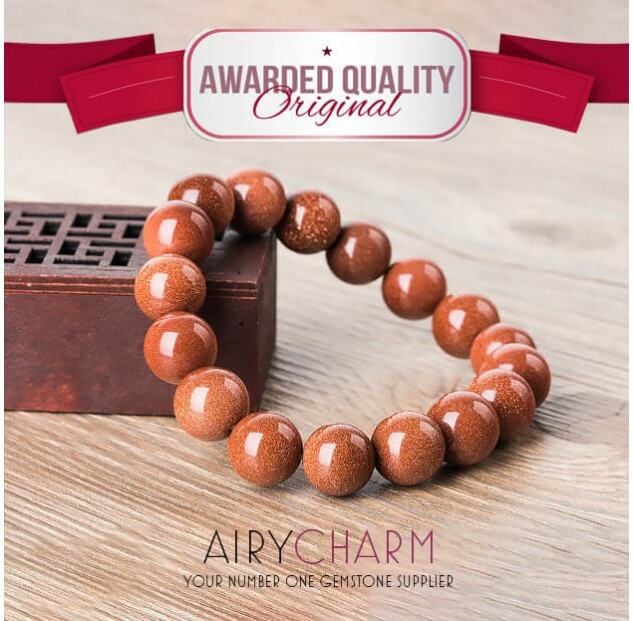 The glistening goldstone reminds us of stars and constellation and if you find yourself attracted to it, that means that you’re ready to reach the skies and go beyond an ordinary existence. With goldstone, you might not get all the answers right away, but it will steer and lead you to the right path and you will soon realize that you’re definitely moving in the right direction. Whether you use brown or blue goldstone, it will give you guidance and it’s very beneficial to meditate with it as well as wear it as jewelry. You will soon begin to notice that everything around you is getting better and all kinds of opportunities will come your way.